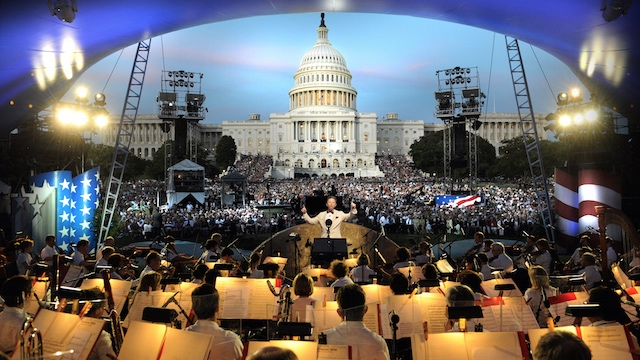 Honoring our American Heros for over 25 years, the NATIONAL MEMORIAL DAY CONCERT pays tribute to the service and sacrifice of our ment and women in uniform, their families at home and all those who have givien their lives for our country. Joe Mantegna and Gary Sinise co-host the 26th annual broadcast of this night of remembrance that airs live from the West Lawn of the U.S. Captiol before an audience of hundreds of thousands, million at home and to our troops aroundt he world via the American Forces Network. More than two million men and women serve in America's all-volunteer military force, and another three million are their husbands, wives, sons and daughters. The Homefornt uses unprecedented access to soldiers, sailors, marines and airmen, to create a series of intimate portraits of America's military families. The revealing two-hour documentary special tells stories of pride and patriotism, sacrifice and resilience.